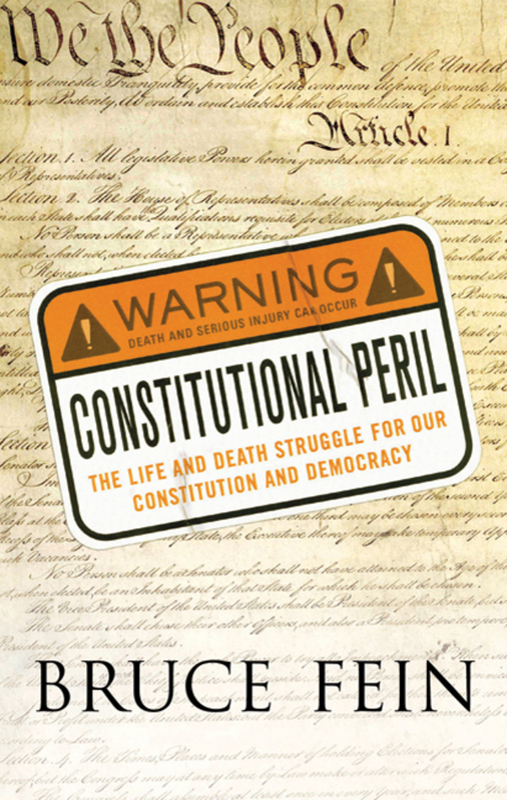 Renowned attorney and political critic Bruce Fein reveals the dangers our Constitution and our nation have faced courtesy of the Bush Administration and a Congress asleep at the switch. In blistering detail, he deconstructs the policies of Bush in the War on Terror--from the flouting of the Foreign Intelligence Surveillance Act to the crippling of the Great Writ of habeas corpus--and forecasts that the damage he's done is unlikely to be repaired quickly or easily. As Barack Obama takes office, there are questions that involve the very foundations of our government and the degrees to which they have been undermined, either actively or passively, by nearly everyone in power today. 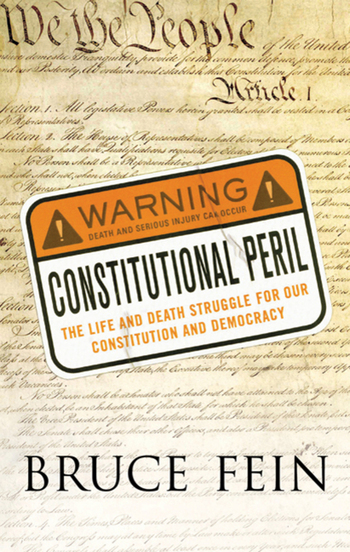 By exploring the constitutional crises of the past--from Lincoln and habeas corpus to Nixon and Watergate--Fein compellingly and presciently begins to answer those questions. “Bruce Fein has written a compelling and powerful book. He describes a litany of executive excesses, including warrantless surveillance, abuse of executive privilege, secrecy, extraordinary rendition, torture, improper detentions, and misuse of signing statements. As a top offficial in the Reagan Justice Department, Bruce is in a unique position to remind us of the importance of checks and balances in our constitutional form of government.” —Representative John Conyers, Jr.
Bruce Fein is a columnist for The Washington Times, an attorney, and a political critic. He was part of the American Bar Association's Task Force on Presidential Signing Statements and appears regularly on CNN, NPR, and the BBC.